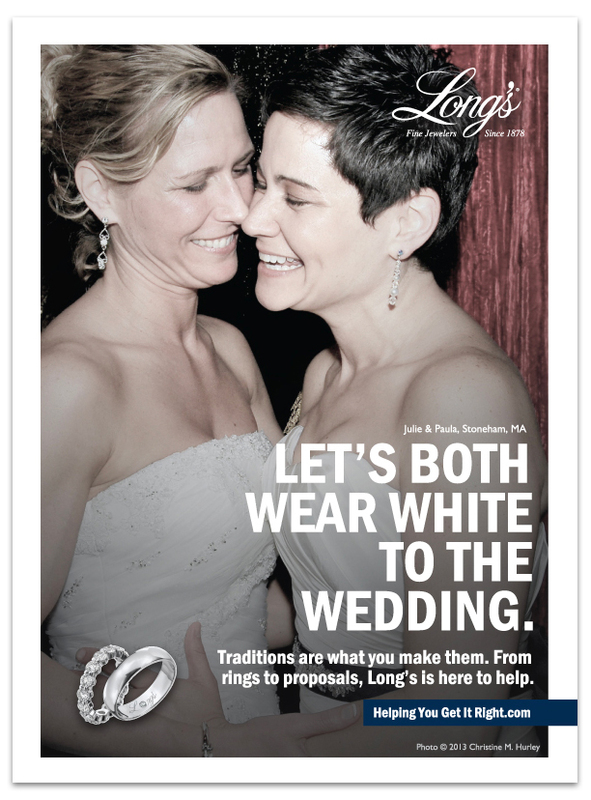 Wedding ring campaign for Boston Spirit Magazine, the leading LGBT publication in Boston. 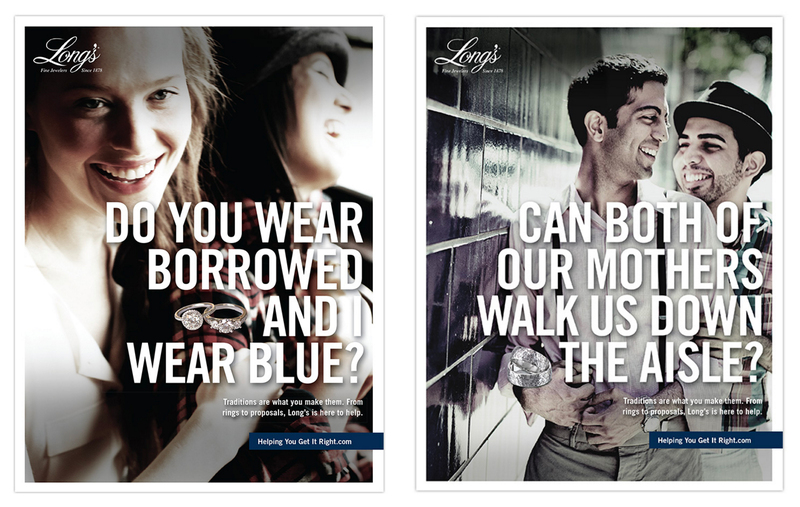 In partnership with Small Army, we created lifestyle wedding ring campaigns with thought provoking taglines that encouraged setting your own traditions. The first run of ads included a combination of real couples and models. We decided to place a call for real couple’s wedding photos for a chance to be included in our ads. We received so many great submissions from local couples, along with heartwarming stories of their own wedding days. I loved working on this campaign because it is so authentic and personalized, and it received overwhelmingly positive feedback from the magazine readers.